I love porridge during week days. 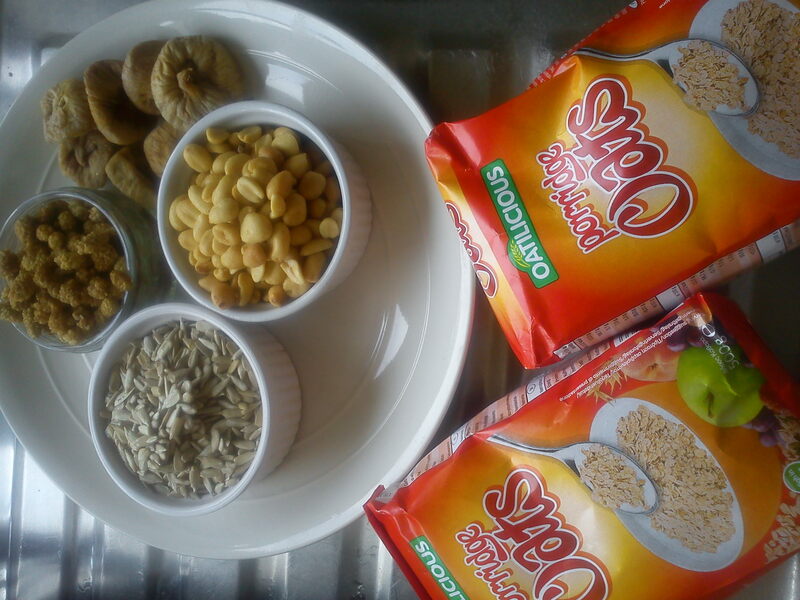 They are quick and easy to do, but I prepare my porridge mixes in advance. See, I hate the plain porridge. I find I find them… well plain! So, once a month I prepare a mix that looks like muesli which I use to make my morning porridge. To make my mix I use oatflakes from Lidl, Seeds, dried fruits and nuts from any supermarket that offers the best deal at the time. This month I am putting the following in my mix: Oatflakes – chopped sunflower seeds – sliced figs – chopped dried mulberries. Mix (dry) it all well and put in a container. The mix will keep for long time if you do not use it regularly. To make the morning serve, all I need is 4 table spoons of the above mix, in a bowl, add a small glass of milk. I use whole milk. Place the bowl in it the microwave for 4 minutes and add 2 chopped kiwis or any other fresh fruits. I simply add sugar when I run out of fruits. Don’t knock it until you’ve tried it… Plus it is good for the heart. This entry was posted in Breakfasts & Brunches and tagged figues, kiwi, milk, mulberry, Oat, peanuts, vegetarian. Bookmark the permalink.